Wazor Ionic Mini Blow Dryer Just 14.99! Down From $80! You are here: Home / Great Deals / Amazon Deals / Wazor Ionic Mini Blow Dryer Just 14.99! Down From $80! Looking for a good quality with great discount blow dryer? Hop on Amazon and get this deal! Wazor Ionic Mini Blow Dryer is now on sale for just $14.99 down from $80! What more can you ask for? Grab one now! 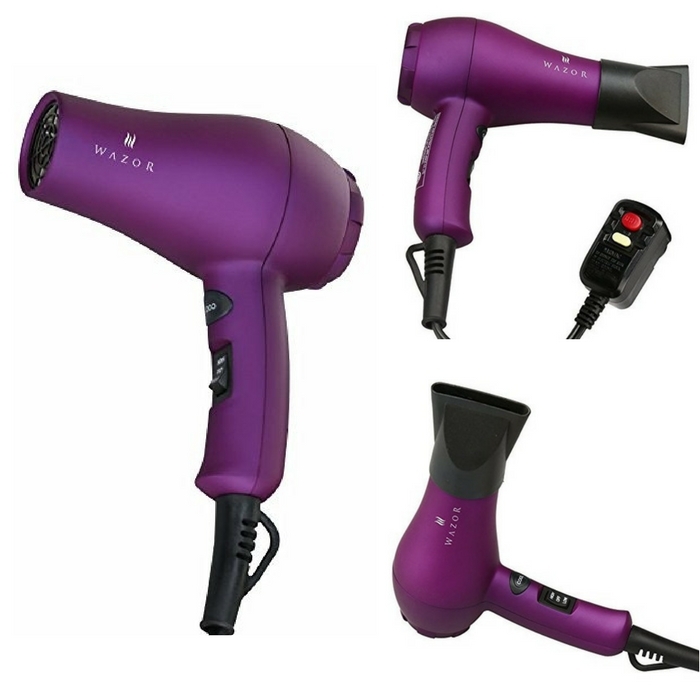 1000 watts mini hair dryer, perfect choice for travel as it is small, compact. Removable lint filter for easy cleaning. I prefer my Karmin dryer I love it.